To plan a meeting at Texas Station, call (702) 288-7982. Email or text Patricia Bova patricia.bova@stationcasinos.com (702) 366-6778. Texas Station is the perfect destination for meetings and events of all kinds, from large corporate gatherings to intimate family gatherings. With 42,000 square feet of flexible meeting space, we’re prepared to make every event an unforgettable experience. The Dallas Ballroom is the perfect event space for a large, elegant, formal sit-down dinner. This fully configurable space can seat up to 1,100 guests without a dance floor, or up to 800 guests with a dance floor. The built-in stage can accommodate a 20-piece orchestra or a tiered head table for up to 50 guests, giving you options for customizing the space however you’d like. Whether you want to showcase company award-winners, or make space for the band, the Dallas Ballroom and our friendly events staff are perfectly happy to accommodate. For events on a much smaller scale, the Houston Ballroom is an excellent venue, featuring space for up to 200 guests. The ballroom itself breaks out into three individual rooms accommodation up to 60 guests each for sit down dinners, or up to 80 guests each for stand-up cocktail receptions. 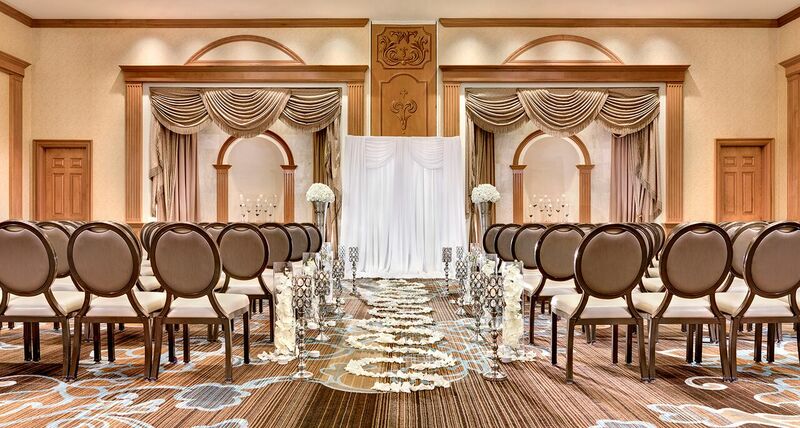 Designed in a warm, elegant and inviting color scheme, the Houston Ballroom is sure to enhance any meeting or social event, no matter what the occasion might be. Regardless of the size of your meeting, conference, reception or intimate affair, Texas Station is ready to accommodate your every need. Featuring over 40,000 square feet if configurable meetings, conference and banquet space, plus two 1,000 square foot wedding chapels, we can groups of up to 1,100 people. To ensure your event runs smoothly, we also provide a fully-staffed banquet, and catering department, plus state-of-the-art audio/visual capabilities and high-speed wireless Internet connections. If you’re looking for personalized service, you couldn’t find a better destination. Texas Station’s highly experienced, knowledgeable and extremely helpful Catering Team is ready to assist you with any of the planning details you don’t want to take of personally. Whether you need help finding rare flowers, creating delightful guest menus, or booking photographers and entertainment for your event, we’re ready to lend an experienced hand. Better yet, leave the planning to us and simply kick-back and enjoy yourself. We’ve got it covered! Celebrate your daughters’ quinceañera, sweet 16, or 18th debut all under one roof. Texas Station offers both ceremony and reception packages that may be customized to be as special as your princess. Our Jasmine and Magnolia Chapels can each comfortably support up to 100 guests. Alternatively, bigger weddings can combine the two chapels to create the Amaryllis Chapel, the ultimate wedding venue in Las Vegas. The bride and groom’s private areas feature all of the amenities needed to produce the perfect wedding!